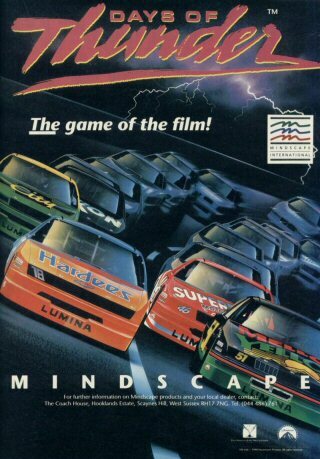 Mindscape brings you true "Days of Thunder" excitement straight from the incredible Paramount Pictures film. All the fast-paced movie action come right into your living room and onto your Commodore Amiga! Take the wheel in your very own 200mph+ stock car! As you shift into high gear you'll watch every other driver slip into your rear view mirror... or will you? Test your driving skill and see if you have a chance to bring home Daytona. Give everything you've got and go for the Championship!